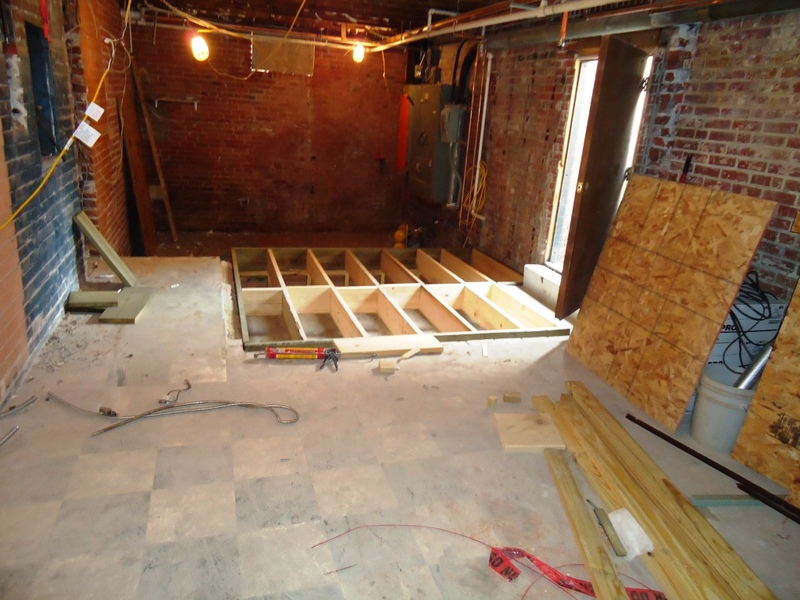 The construction has slowed a bit as we continue to work through building code issues. 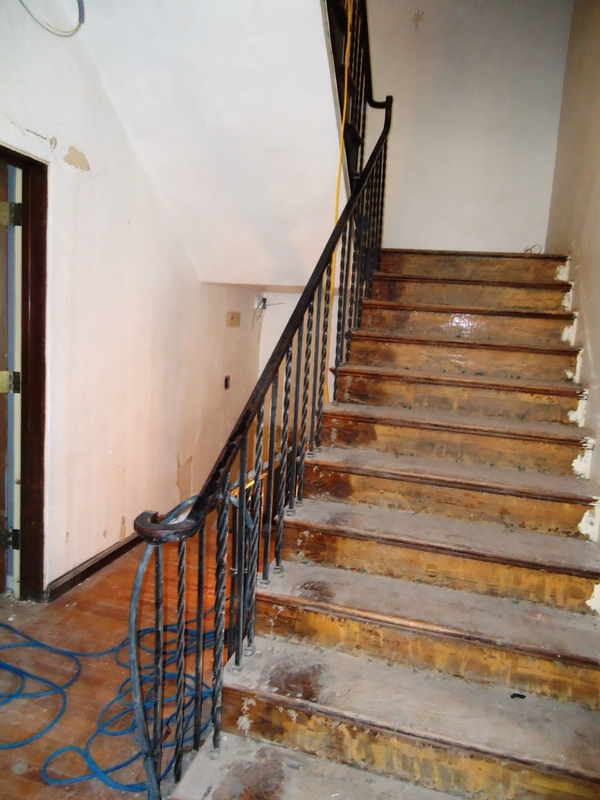 The City of Lincoln is requiring additional repairs and modifications to bring the building up to current building codes — part of the joy of renovating an 80 year-old building. 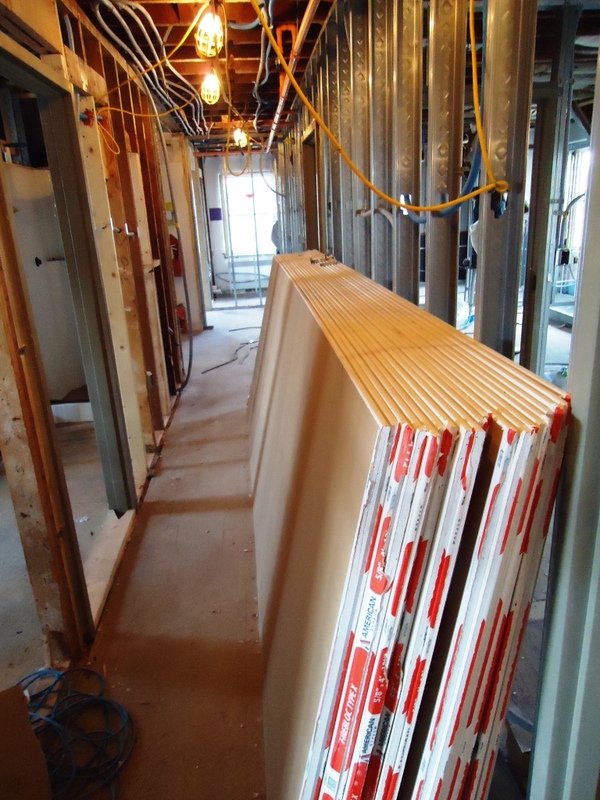 Drywall and door frames have been delivered and hopefully will go up next week. 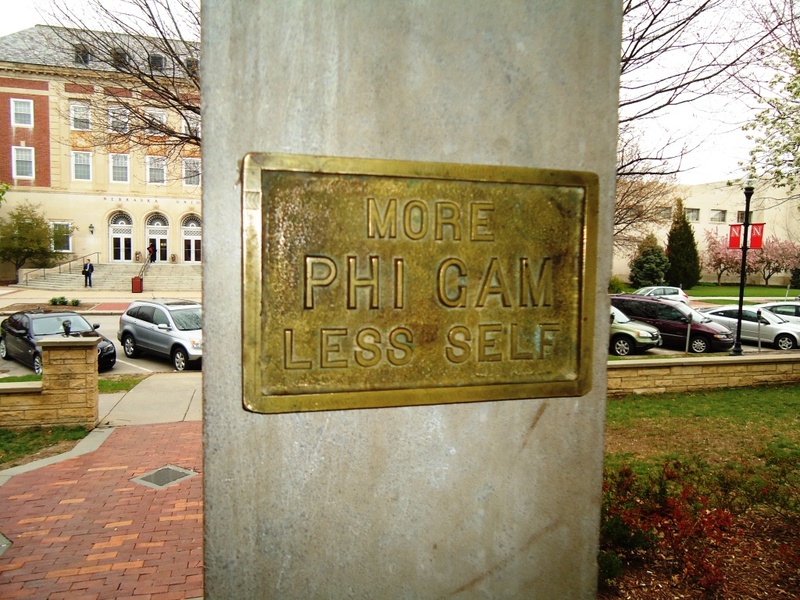 During the demolition, the “More Phi Gam, Less Self” bronze plaque was found. It is our understanding that this use to hang on one of the doors. The Board felt this is a great message and decided to have it hung on the right exterior column for our undergraduates to see as they exit the building. Providing a copy of composites or class pictures. The chapter has a nice collection of pre-1950 Letterman and Innocent Society members. The house corporation plans to display these photographs. If you were a Lettermen or Innocent Society member and your picture is not included in this online gallery, we would love to include it. Email pgd@unl.edu and we will figure out how to get a copy. 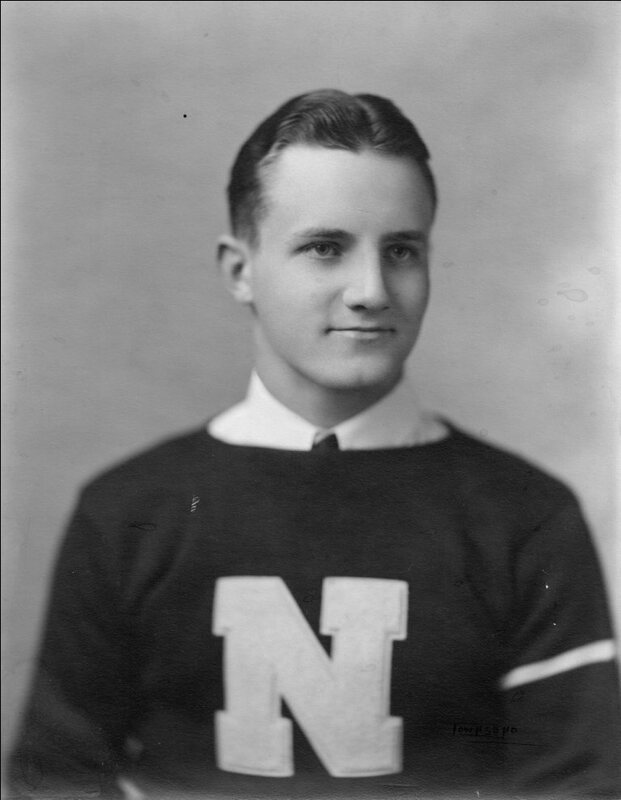 Some of our photos are unidentified – other than we know they are a Letterman based off the letter in the photo. If you recognize any of these photos – post their name and we can look up their class year. 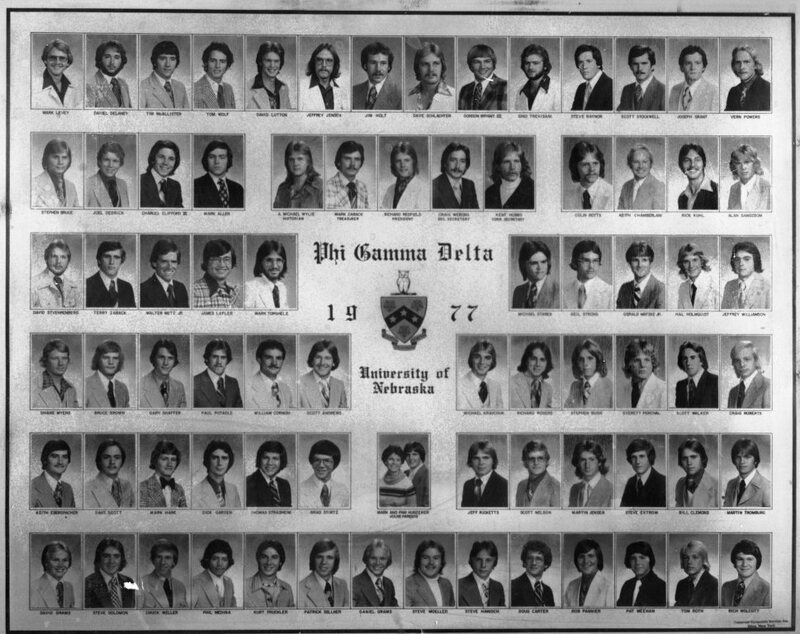 The chapter has 36 composites or class photographs that have been scanned. The House Corporation would like to have a full set to display in the chapter house. If your composite, or class picture, is not included and you have a copy, please email the house corporation at pgd@unl.edu. 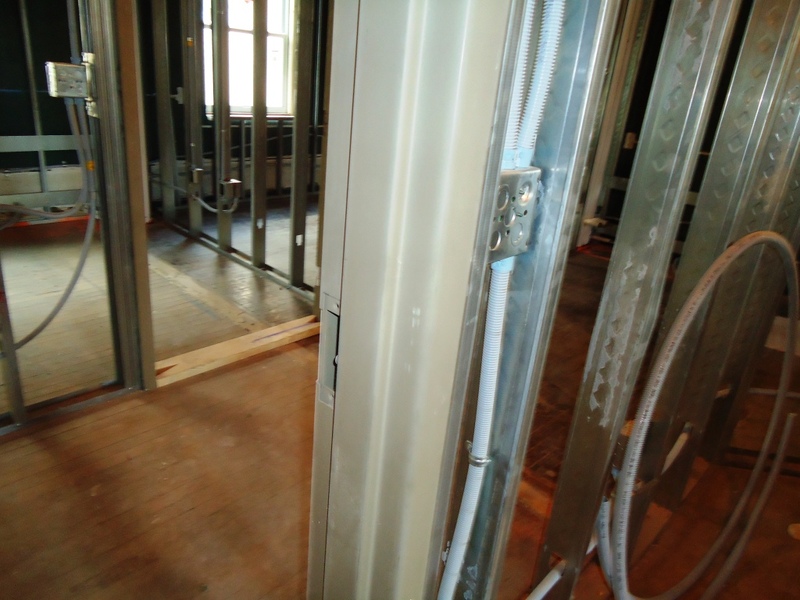 New electrical distribution is roughed in. Taken in the basement at the bottom of the old stairs. Housemother’s kitchenette plumbing rough-in on the west wall of the housemother’s living room. Counters will be installed between the windows and bedroom door. New metal door fames – no more broken door jams. 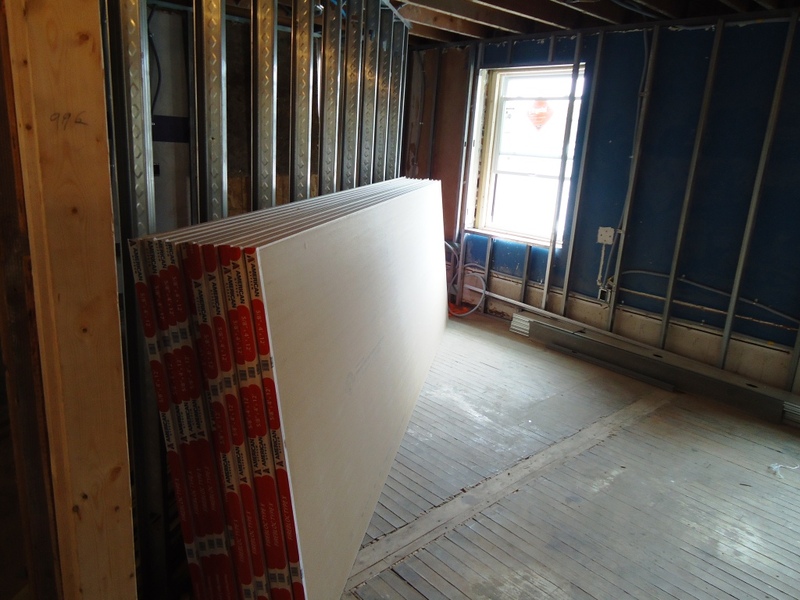 Drywall has arrived! Hopefully it will be installed next week. 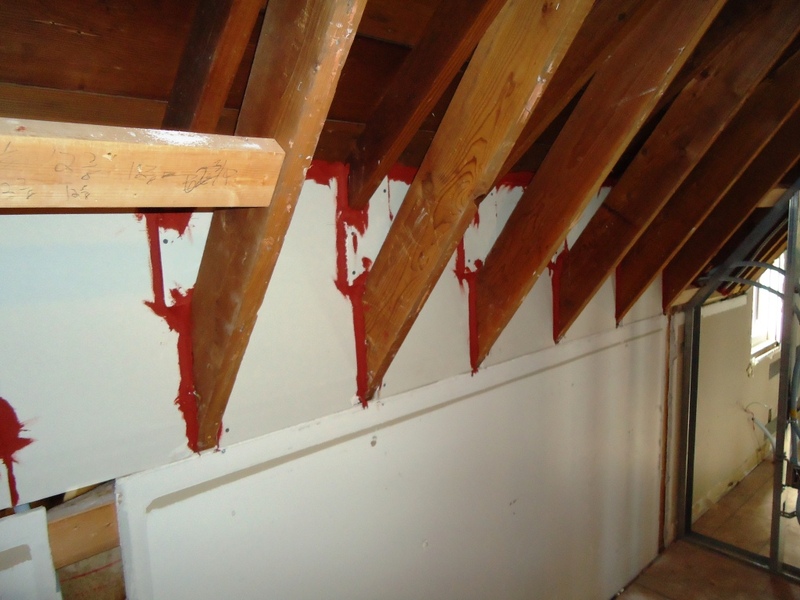 Most of the electrical, plumbing and fire sprinkler rough-ins in the 1931 building are complete. 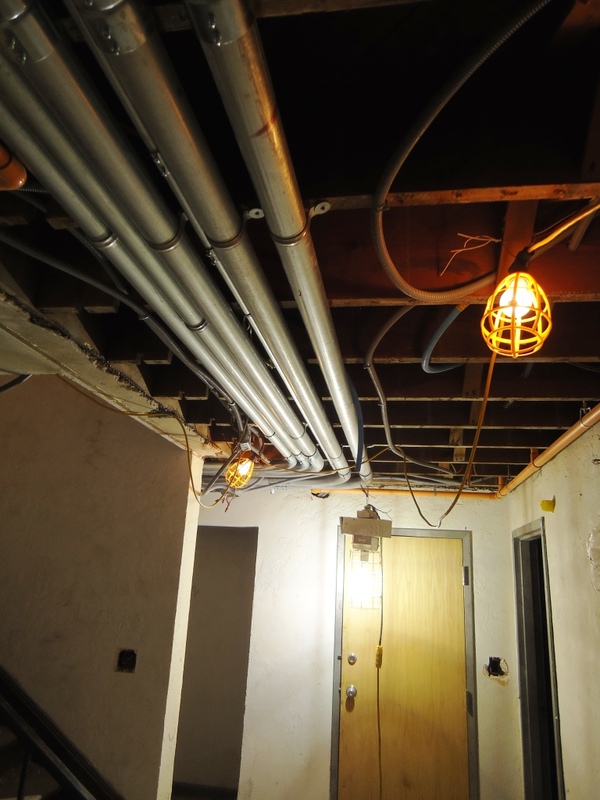 Unless you are into photographs of wires and pipes, there isn’t that much to see. 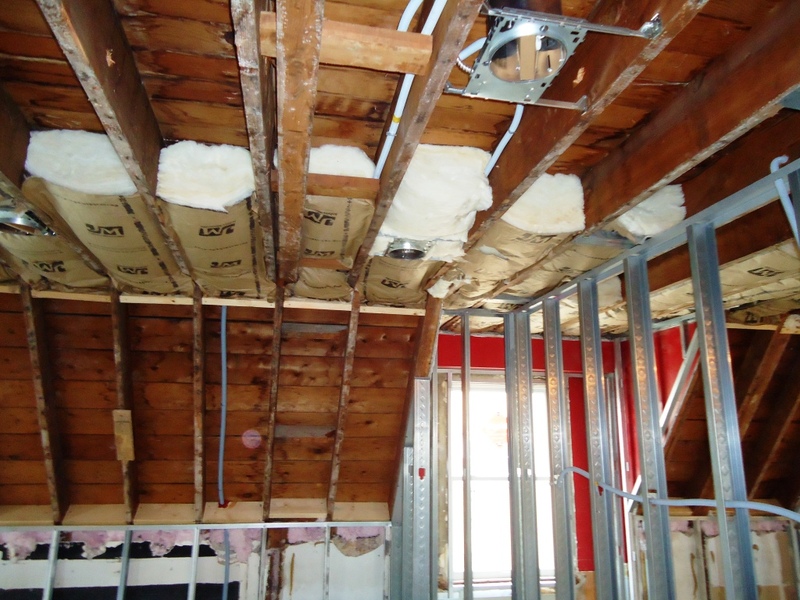 Inspections, insulation and drywall should start next week. 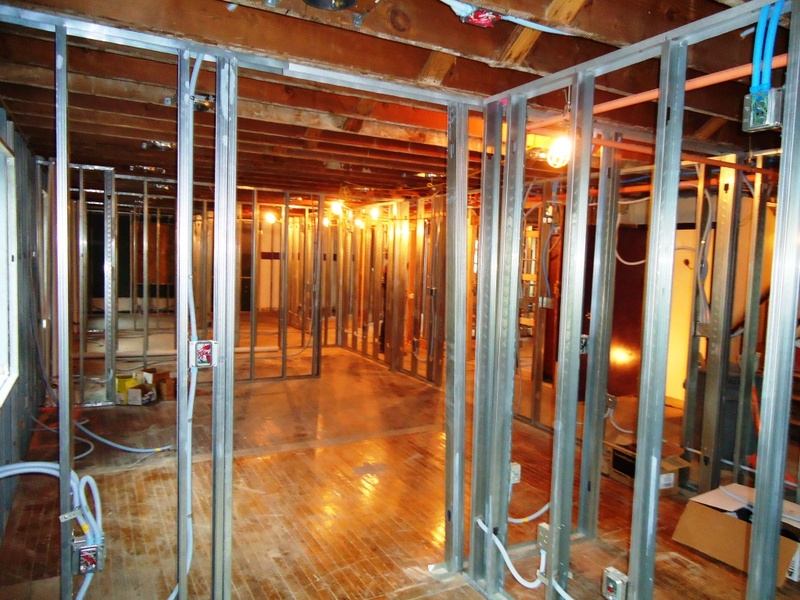 This project will completely update all the electrical service in the building. The existing service of 600 amps is not sufficient for modern needs. 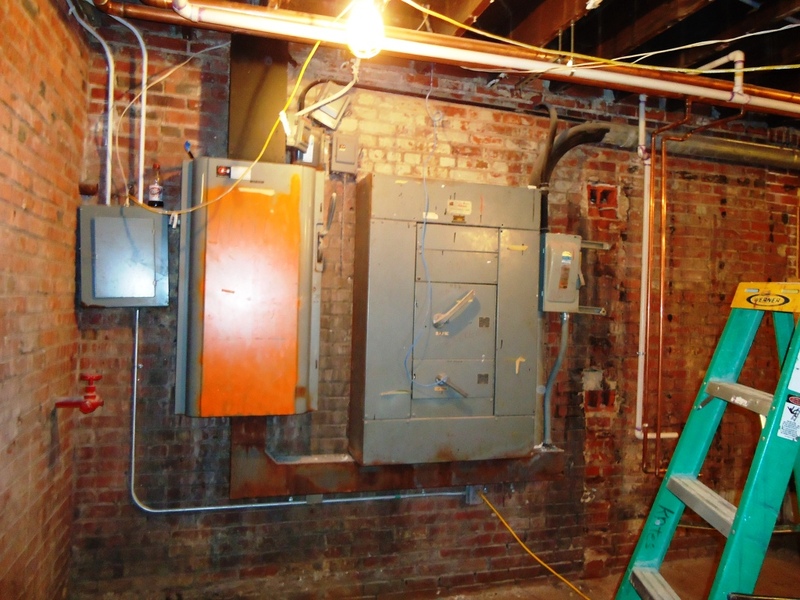 The large electrical panels in the back of what was room B2 will be replaced, along with the sub panels on each floor. 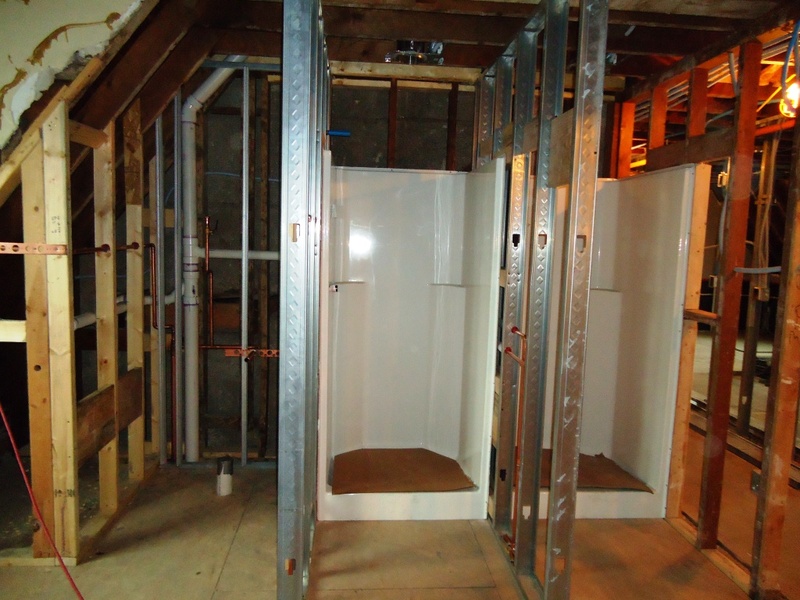 Shower stalls have been installed in the 2nd and 3rd old bathrooms. The bathrooms will have a new layout. Each bathroom will have two private showers stalls with private dressing areas. 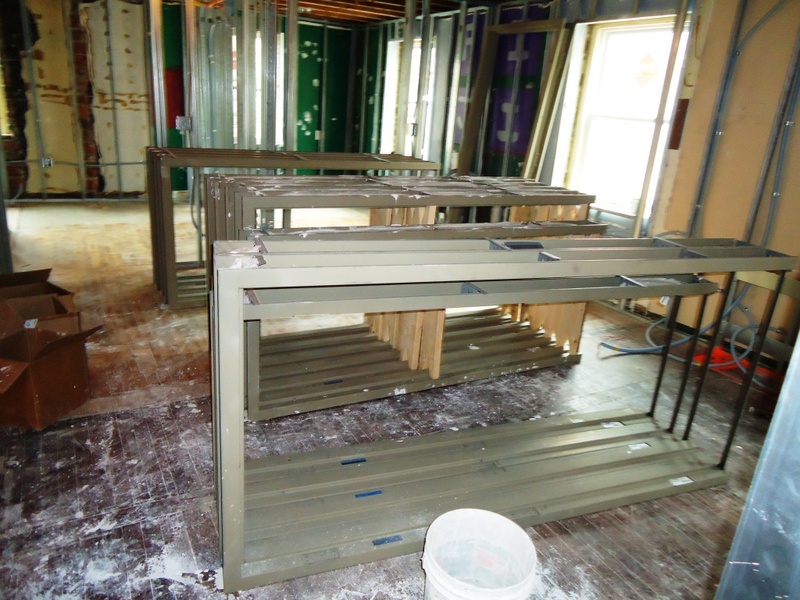 The 2nd floor bathroom will have two private toilet stalls and the third floor will have a private toilet and urinal. The 1964 addition will have two showers, two toilets and a urinal in each bathroom. These will be done over the summer. 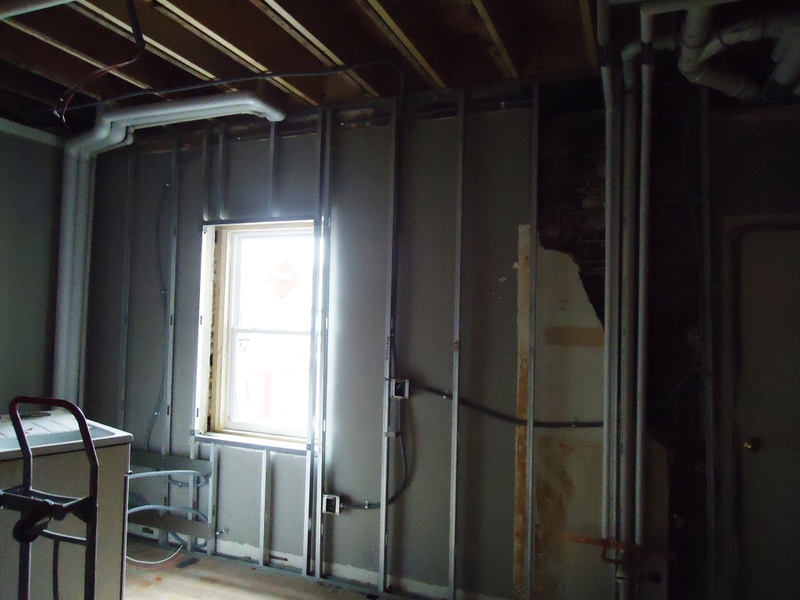 Taken in the southeast corner of what was B2 – this will become the buildings electrical service room and a new study center/computer lab. 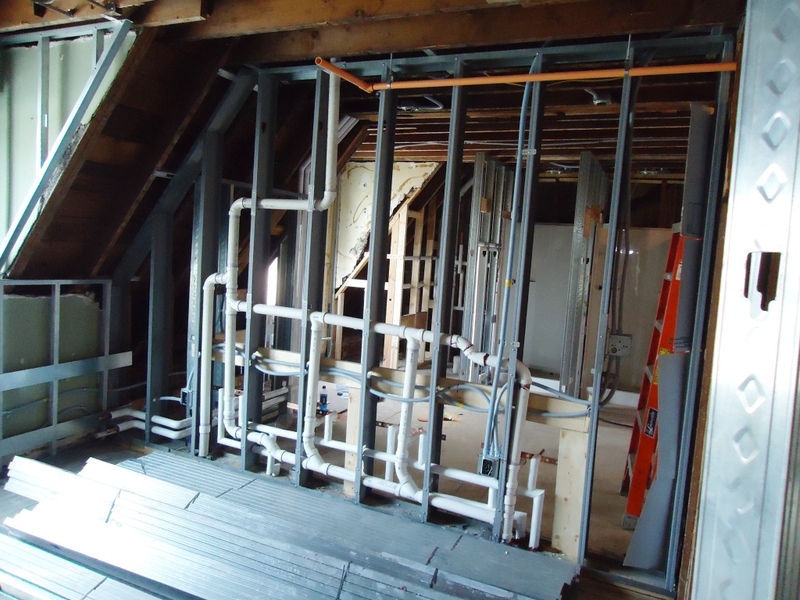 3rd old bathroom — the showers stalls have been installed. 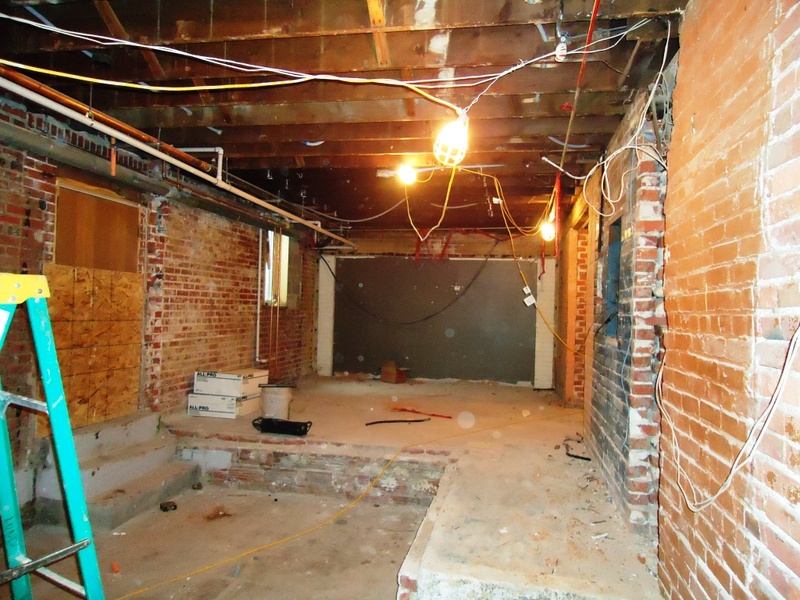 Taken in the northeast corner of 2nd floor — looking into the new room 200. 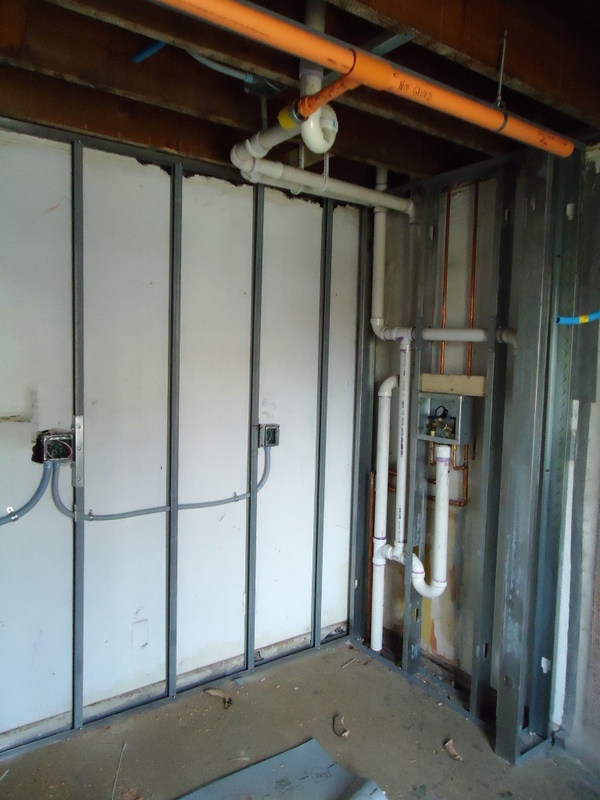 The electrical and plumbing rough-ins are nearly complete.